The idea here is sound. How many times have you browsed the Windows 10 Store and noted titles which you'd like to 'download later' and then quietly forgotten all about them? Why would you not download them immediately? Perhaps they're large (especially games) and you're in an area of limited bandwidth or signal? Anyway, sharing to 'Download App Later' works pretty well and solves the issue in as elegantly a way as possible. Have you ever found an app in the store, but wanted to download it later? Using 'Download App Later' is a very elegant solution. No matter, if you're on the go and have limited data volume or just want to use a trial period the best. The annoying retrieving in the store is gone. It's all done with just a few clicks. 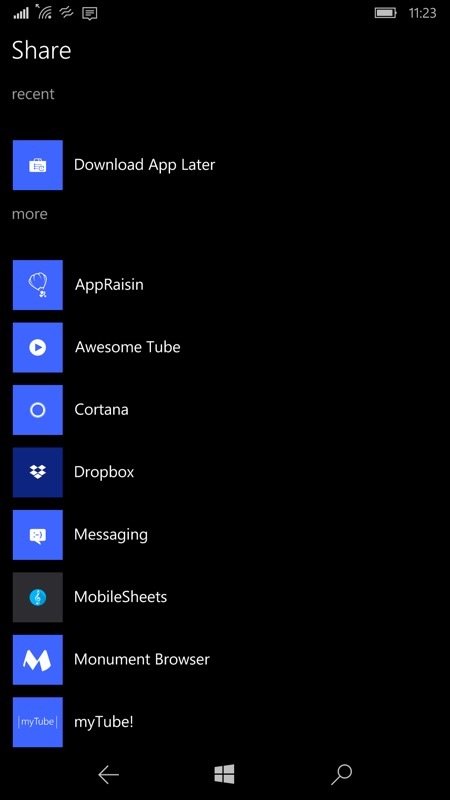 To get started, you'd use Store's 'Share' function and share the app or game's details directly (right) to 'Download App Later' in the Windows 10 Share list. 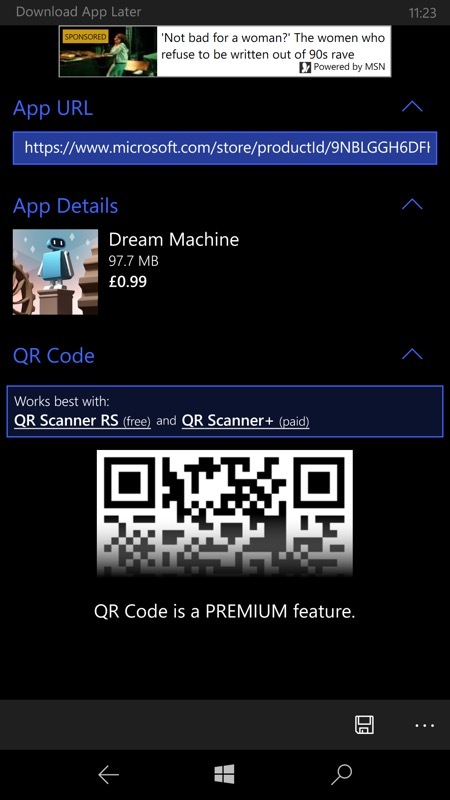 You get instant confirmation of the URL to remember, app title, thumbnail, size and cost (along with a QR code if you choose to go into the Store this way in future). 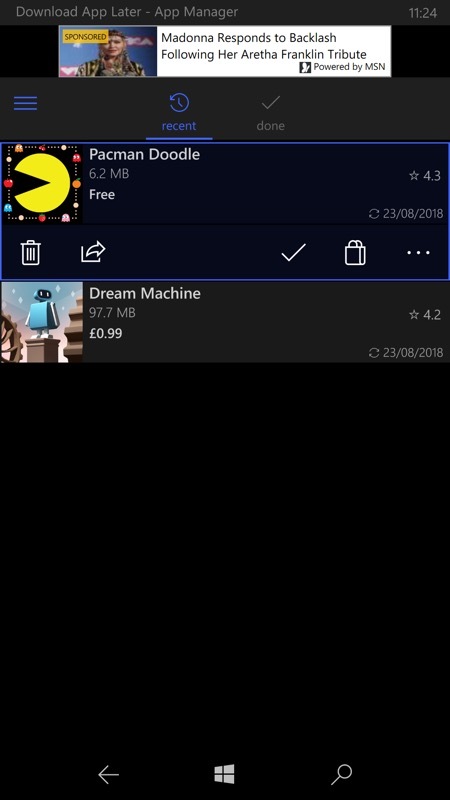 Tap on 'Save' and (right) the app or game is saved in the main list. 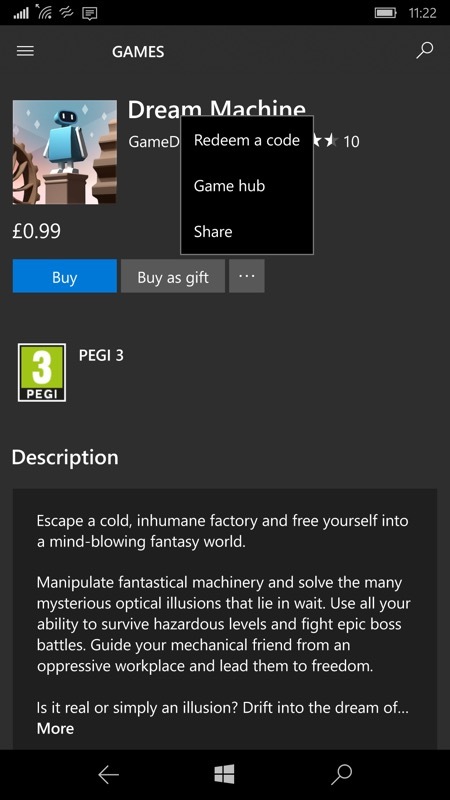 At any point in the future, when you have bandwidth again, just tap on the Store control to head over to download the title. You can grab this in the Store here. The small IAP zaps the ads and unlocks a sync option, should you want to 'download later' on other Windows 10 devices.